Featured deals are hand-picked by our Activities Specialists as the best value in San Jose. Want a break? Escape San Jose for a day and head out to the tranquil waters of the Golf of Nicoya on one of our San Jose Boat tours. Nature lover? Choose to navigate the channels of Tortuguero by boat. Explore more, pay less!! Our Caribbean Shuttles provide you with fast, safe and comfortable transportation between Costa Rica and Bocas del Toro, Panama. Looking for adventure in Costa Rica? Canopy tours, canyoning tours, and waterfall rappelling are all the rage and all within reach from San Jose! Choose from Ziplines, Aerial Trams and Canyoning from San Jose. Venture out of San Jose and into nature on one of our San Jose horseback riding tours. Choose from exciting Horseback riding & zipline combos, or combine your horseback ride with a relaxing day at the spa. The Central Valley of Costa Rica is unique in that you are just a short drive away from Costa Rica's volcanoes, hot springs, nature parks and aerial trams. San Jose Eco Tours offers something in nature for the whole family to enjoy! The Central Valley of Costa Rica is also the center of culture in Costa Rica. From Folkloric shows, coffee plantations, San Jose city tours and the Oxcart capital of Sarchi, San Jose Sightseeing Tours has something for everyone! Travel smart and have more fun with The Real Deal Tours! 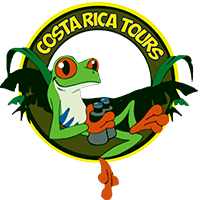 Smart Connection Tour Deals connect Costa Rica's top destinations with Costa Rica's top activities. Choose from the smart connection tours departing San Jose. Although you can get a taste of Tortuguero Canals on a One Day Tour, we recommend you immersing yourself for a 2-3 day adventure in Tortuguero National Park for the best experience. The choice is yours. San Jose is literally in the center of several easily accessible volcanoes. Chose from half day trips to Poas or Irazu, or a full day tour to Arenal for a complete Volcano & Hot Springs experience in Costa Rica. San Jose is a launch pad for river rafting in Costa Rica. Choose from beginner level river rafting on the Balsa River to the more challenging Toro River, or the beautiful Pacuare River. San Jose Whitewater rafting tours offers the best selection to choose from. A home base for many travelers, the San Jose region is the perfect place to hang your hat as you go out to enjoy the popular San Jose day tours available. Located in the middle of Costa Rica, the San Jose region is loaded with things to do. If you like architecture, you’ll enjoy our San Jose sightseeing and culture tours to Cartago as you will learn why the central valley region of Costa Rica has such a European influence. If you’re more the adventurous type, take a hiking or horseback riding tour that will take you into the depths of the San Jose region where you will explore hidden waterfalls or the most visited attractions, Poas and Irazu Volcanoes. Now what about the adrenalin junkies? The Real Deal San Jose Tours also offers whitewater rafting tours for all levels of paddlers located in the most picturesque regions surrounding the central valley. And let's not forget about Costa Rica's signature Rainforest Canopy tours! Have a look at the many San Jose Tour options we offer departing from the Central Valley Region.